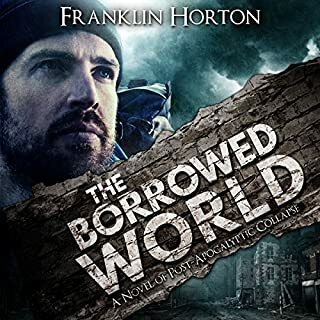 In The Borrowed World, Franklin Horton showed us an America brought to its knees by a nationwide terror attack. The target? The American infrastructure. Cell phone connections were sporadic. Electrical power was failing. Mortar attacks on major fuel refineries had created a gas shortage, stranding travelers throughout the country. One of those stranded travelers, Jim Powell, and his group of coworkers were frantically trying to make their way home using the gear on their backs and whatever other means they found at their disposal. It was a journey racked with violent, deadly encounters and exhausting physical demands, pushing each of them to the brink of their abilities. Meanwhile, on the other side of Virginia, Jim's family was facing its own struggle as desperate neighbors began to turn against each other with increasing brutality. 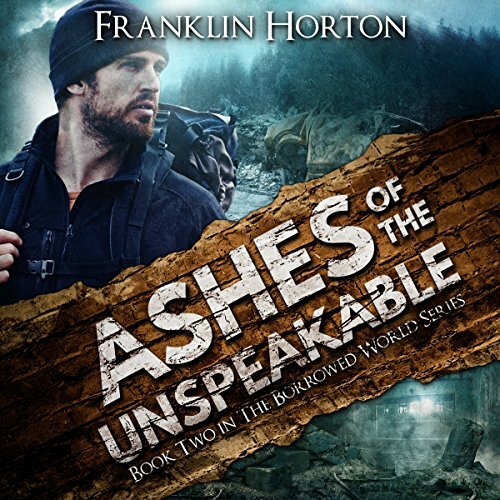 In the second book in this series, Ashes of the Unspeakable, we find Jim and his group still struggling to reach home. While just a few days have passed since the initial attack, the group finds that its country is quickly descending into a vicious, chaotic landscape where nothing comes easy. While they fight to close the distance between them and their loved ones, they cannot avoid the steadily growing number of people who have realized that they can get away with whatever they want in a world where there are no longer any legal consequences for their actions. At home, Jim's family is basically forced into lockdown after a local jail discharges its starving inmates, leading to the arrival of a new, extremely violent presence in their valley. The stranger sets his sights on driving other families from their homes and taking what they own. As Jim races home, his wife Ellen struggles to keep her family safe, while each night a neighbor's home is burned to the ground. 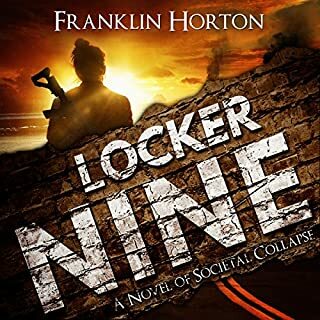 Would you try another book from Franklin Horton and/or Kevin Pierce? Yes, I am planning on finishing this story. 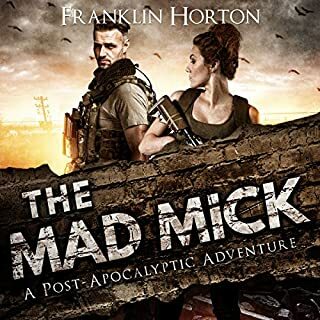 If you’ve listened to books by Franklin Horton before, how does this one compare? This is the best writing Horton has done so far. Pierce's voice is comforting and brings an "every-man" quality to the story. Did Ashes of the Unspeakable inspire you to do anything? It inspired me to finish the story and to read book 3. I really wasn't giving much hope to this story after book 1 but thought I would at lease try book 2 and I am glad I did. I was pleasantly surprised with this book and am really looking forward to finishing book 3. As with my first review on Horton's books though he still needs to work on his timing doing more storytelling and less cataloging. Some of the best disaster books I have read (Alas, Babylon, One Second After, etc.) don't get lost on who is carrying what. For example if you are talking about a generator call it a "portable gas powered generator" and move on instead of calling it a "Honda EU2000I 2000 Watt Inverter Generator with a modified steel beam welded cage surrounding the housing preventing it from electrostatic discharge..blah, blah, blah". By far, the most realistic EMP/Preppers novel to date. For a female (ME) it has opened my eyes to areas I haven't thought of as an early preppar. Can't wait for next volume. Must read for peppers and regular folk so you can harden yourself for a societal breakdown. Well read. for me this is the best book on audible. especially because of kevin peirce. he does a wonderful job of narrating this book....hopefully there's a book 3 all the way to book 10.
this was a great book. good characters with not too much useless character building. a real page turner! Jim and his friends are still trying to get home, the women that chose the FEMA camp are now understanding what Jim was talking about and wish they had gone with him. Jim's family are also realizing Jim's views were not so far off and are toughening up, but do they actually see the real danger before their eyes, will Jim make it home in time to help them? This book is so suspenseful and action packed you can't help but become entranced. 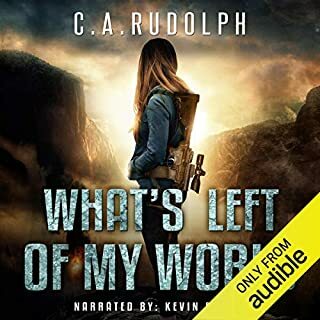 I had the audio and with the awesome narrator Kevin Pierce saying the ongoing mantra of "I've got to get home" throughout the book, so what is not to love. Mr. Pierce does a great job voicing all of the characters, but with Jim all I picture is a teddy bear of a man that will do anything for his friends, but will also do anything to get home to his family, so you better not stand in his way. This was such a wonderful listen I can't wait to hear what happens next to Jim, his family and the gang. Very entertaining and enjoyable. Great sequel. Just as good as the first book. Definitely worth your time if you enjoy this genre of stories. Now off to listen to the next installment. Kevin Pierce does another fantastic job of narrating. He has the perfect voice for this type of story. It's always a pleasure listening to him narrate a book. The author definitely touched on all mans fears of not being available (home) to protect his family in a time of crisis. With the history of chaos that came from Katrina it's definitely believable that humanity can crumble so quickly back into animalistic behavior. The narrator Kevin Pierce does a wonderful job as always. His subtle voice changes per each character is delightful and his style of pacing the story kept me gripped. Any prepper should definitely give this series a read or listen. This is a very exciting series. Almost can't wait to start the next book in the series. 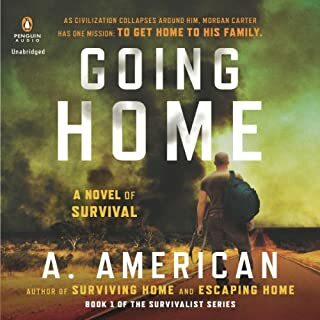 If you like disaster and survivalist book's this is one for you. buying next now. Probably the only book to make me exclaim "What are you doing!" - the only problem being i was in the middle of Sainsbury's at the time. I've read this before, early on when I first started reading survivalist stuff and have just gone back and read it again as I think it is up there with my top favourites. might even be my number one favourite, maybe. I've read more than 200 books by many different authors and though with some, even some of my favourites, there are annoying characters that grate on you when you are supposed to love them or niggly annoying blips from the author like male writers forgetting the existence of emotions in their female characters, with this though, there was nothing. nothing niggles me and nothing was out of place. Some of the narrator voices can ruin a book but this guy, he makes the characters 3D and gives them even more layers. Fav author me thinks and fav narrator. Will definitely get the next instalment of this series. Enjoyed this as much as the first book. Loved it as much as book one. The dog got longer walks so that I could keep listening.